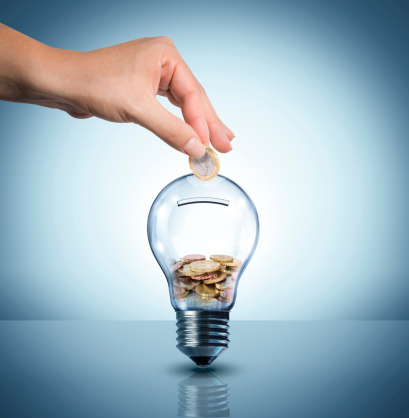 Yes, saving energy can save you a great deal of money. In fact, there are some small and easy changes that you can make to your everyday routine that will help the planet and your wallet at the same time. You can invest in a programmable thermostat that will allow you to set temperature according to the time of the day. For example, your house or apartment can be cooler while you are away from home. If you know you are away at work every day between 8 am and 5 pm, there is no reason to keep the heat at the same level as when you are in. DVD players, smart televisions, kitchen appliances, cellphone and computer chargers should not stay plugged in if they are no longer in use. While they consume a lot less energy when they are not in use, unplugging them to assure they are completely off will save you a lot of money on your electricity bill. These types of light bulbs last up to 10 times longer than regular one and use a lot less energy to function. Therefore, you won’t have to pay for a new bulb as often and the ones you will be using will help reduce your monthly bills. This is the easiest one, but one that will make you save money just as much as the other tips. Closing lights behind you when you leave room should be mandatory. During the day you should open the curtains and enjoy the natural sunlight instead of turning all the lights on. When it is cold outside, it is mandatory that you make sure your windows and doors are well insulated so that no cold air will get inside. You can easily check yourself if that is the case at your house and buy plastic sheets to cover your windows, or special foam to put under the doors during the cold weather. This way, you will be sure that the temperature you set on your thermostat is the one you actually get without having to overheat because of cold air coming in. This one may be hard to apply but yet the easiest way to save money on the hot water. Turn off the water while your shaving, shampooing, washing or any other moment you’re not under the water as you are losing a lot more money than you may think while letting that water run for no reason. Using cold water to wash your clothes is actually just as efficient if not more. Indeed, cold water will not cause any shrinking of the fabric, fading of the dark and vibrant colours or sagging of the stretchy clothes. In the same idea, air drying your clothes is much better for them. This way they will conserve their true fitting and shape. Those two tricks can help you save a big amount on hot water and energy.